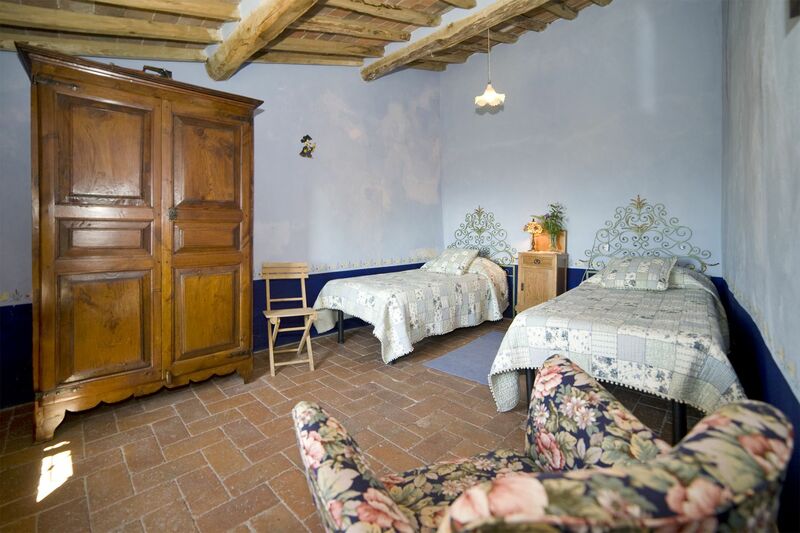 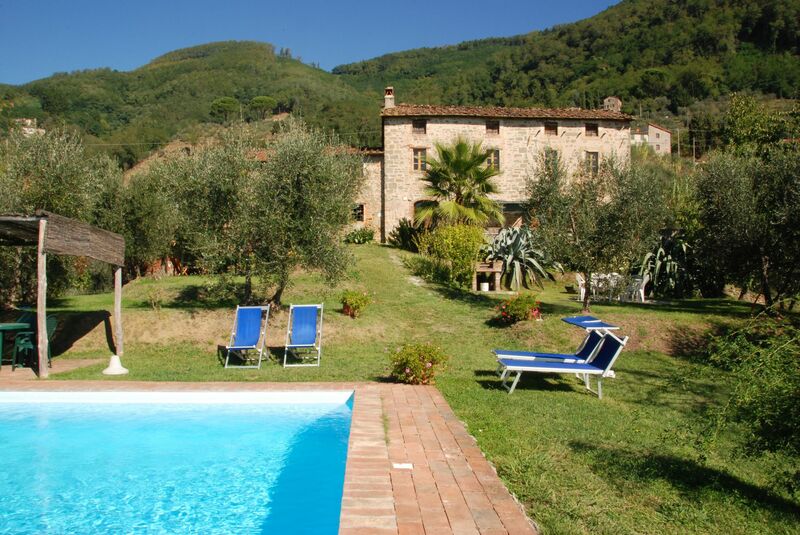 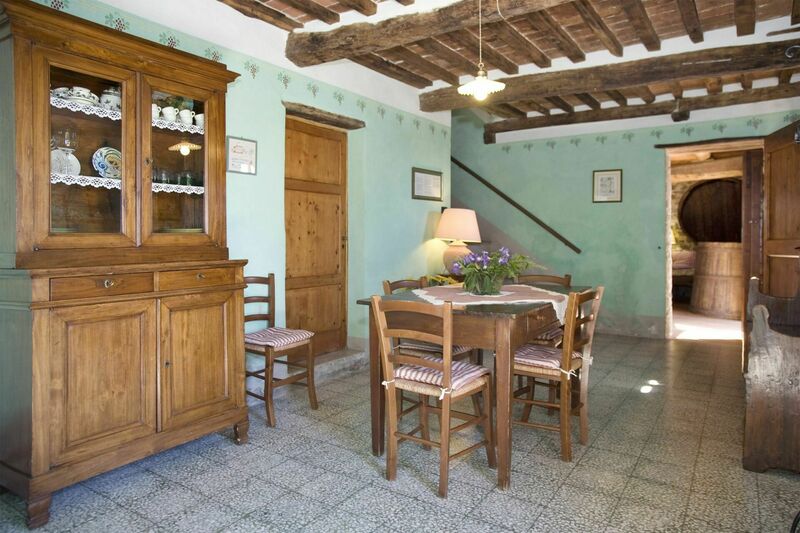 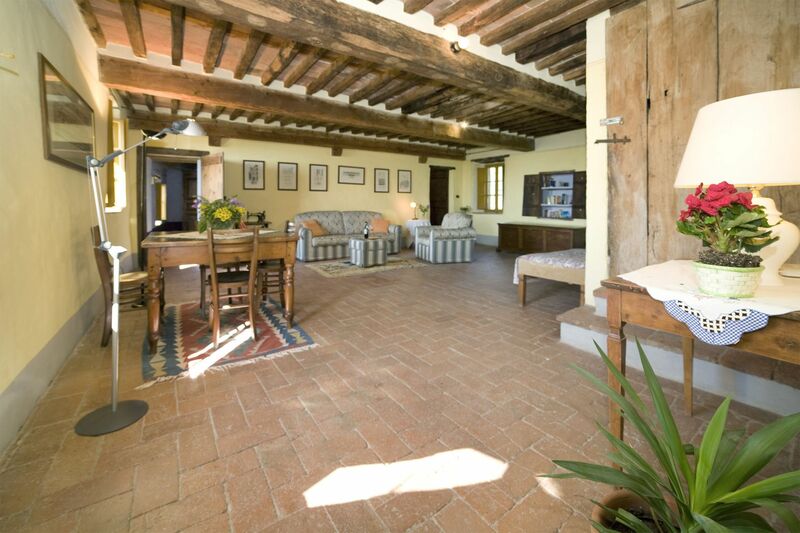 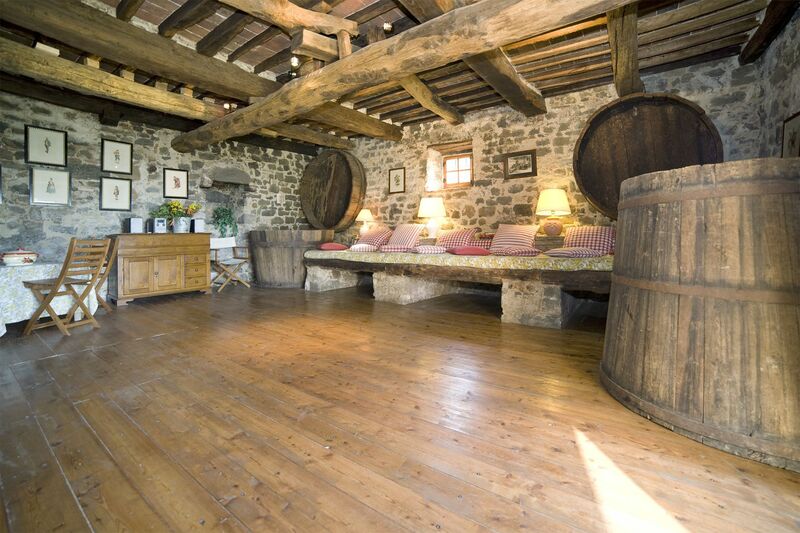 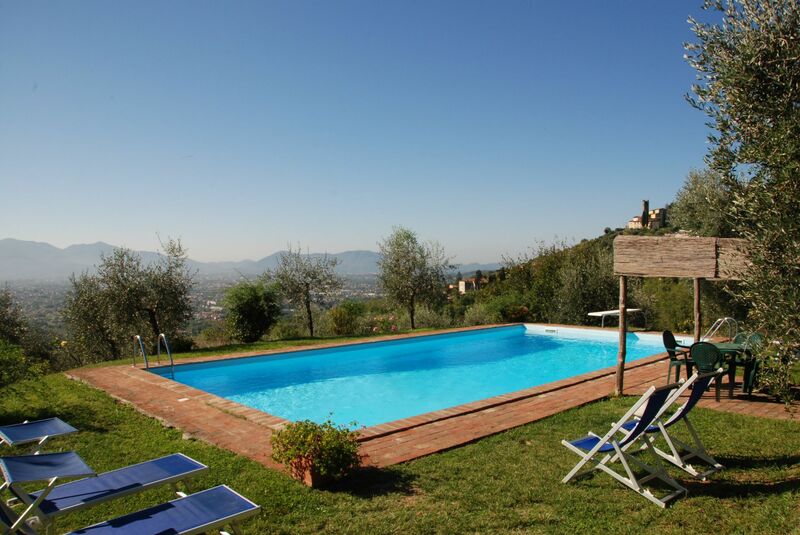 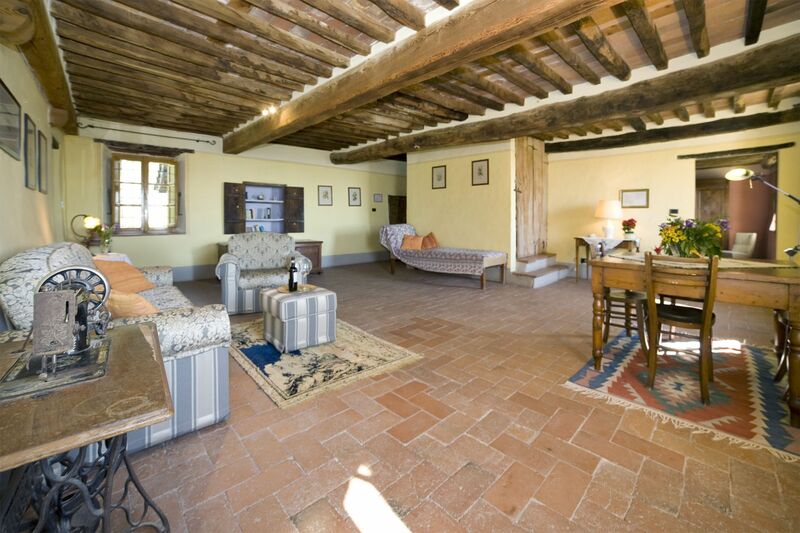 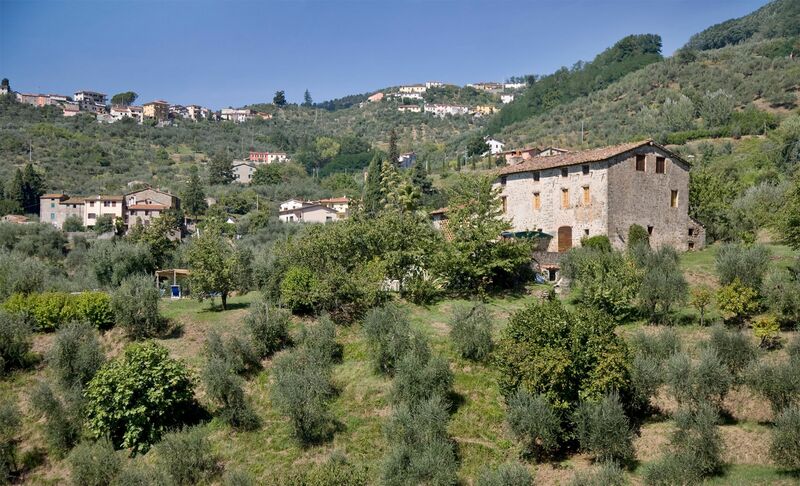 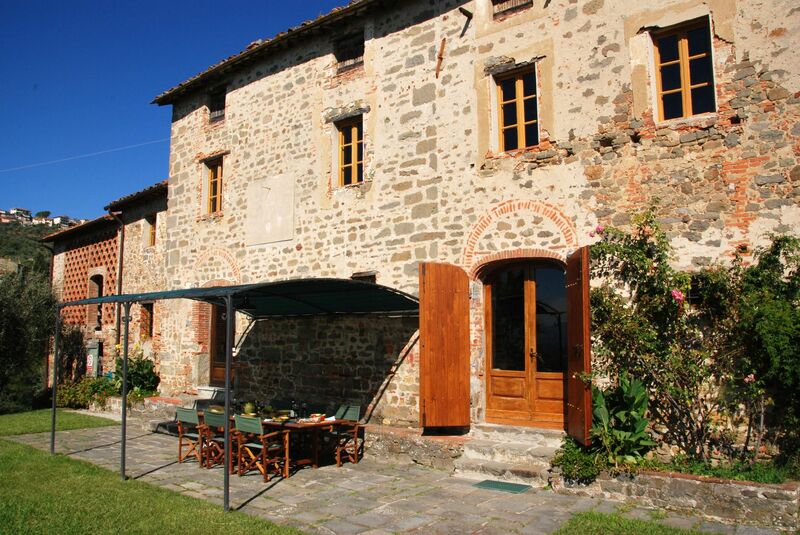 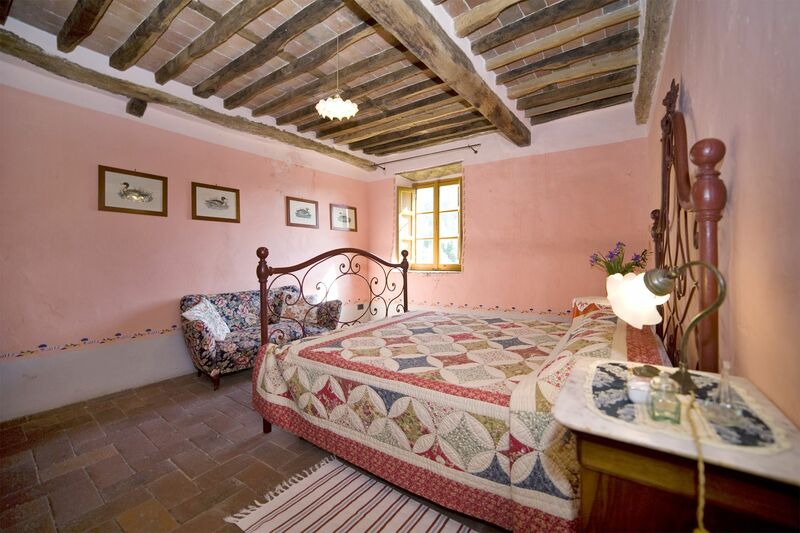 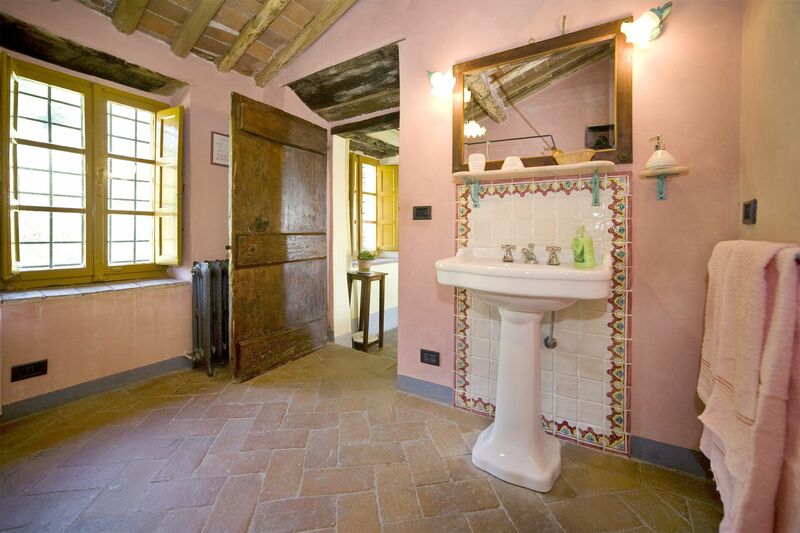 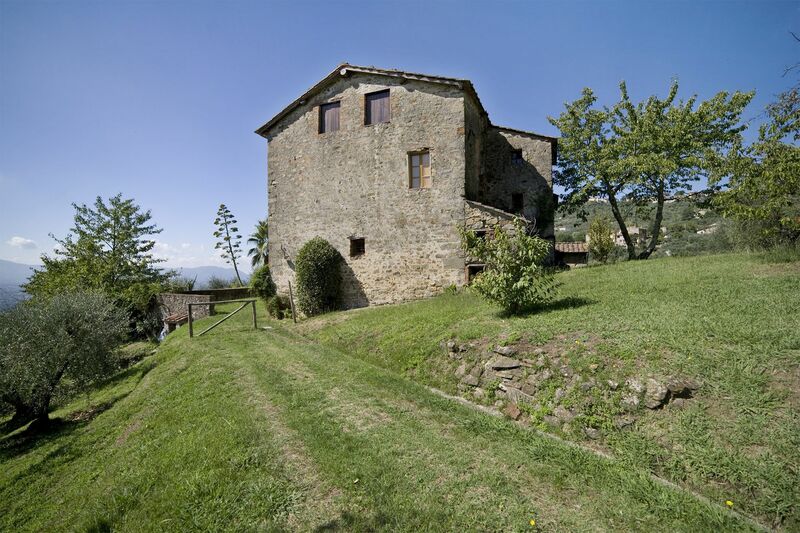 This lovely stone-built farmhouse is located in a beautiful position, in the hills of Lucca. 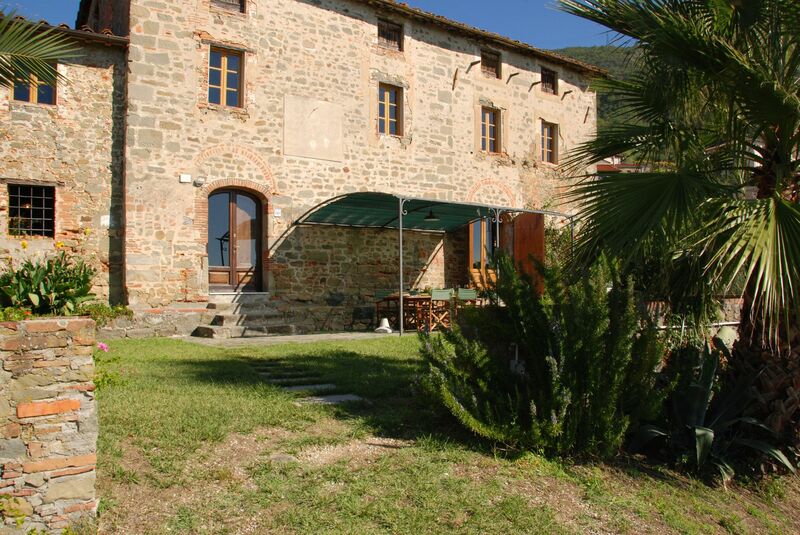 Giannello is a very special property for six people. 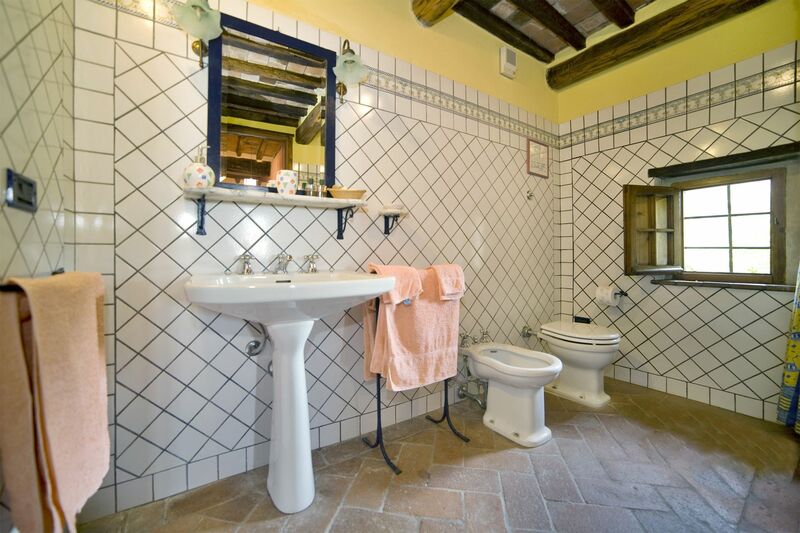 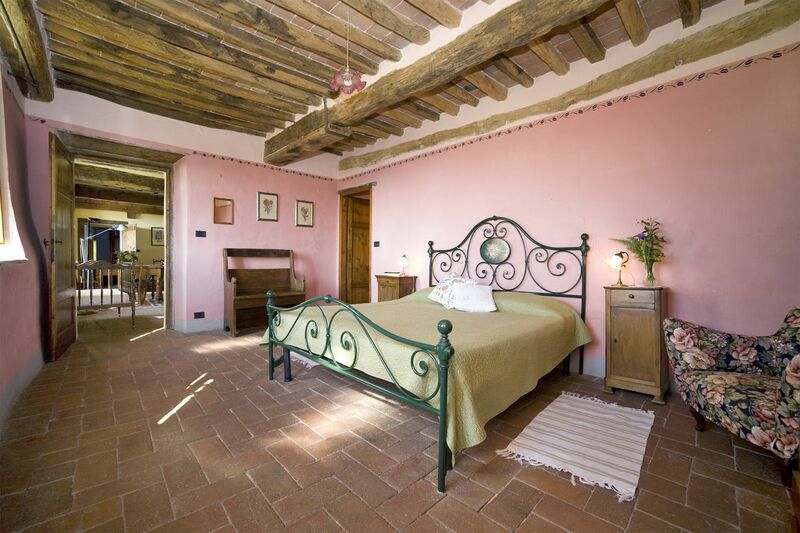 It has been tastefully restored in a nice country style in full respect of Tuscan tradition, maintaining the old beamed ceilings and antique cotto floors in most of the rooms. 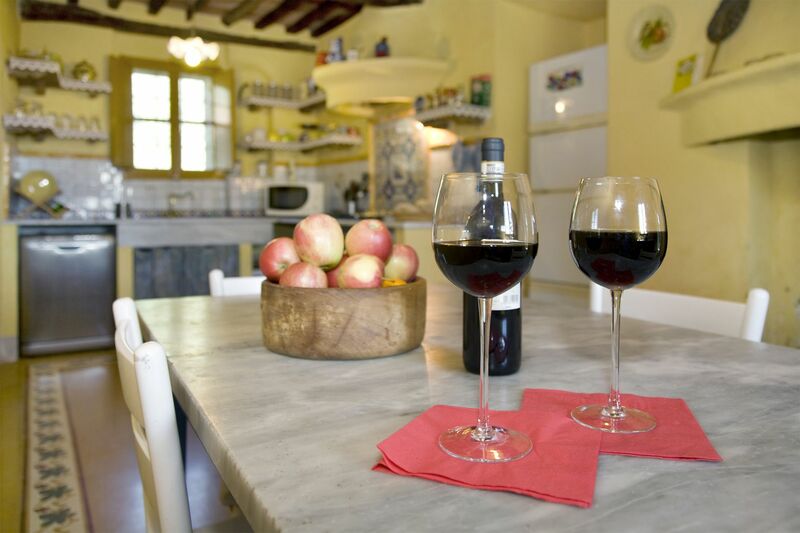 At the same time, it has been supplied with modern equipments, such as Sat-TV and wi-fi internet connection. 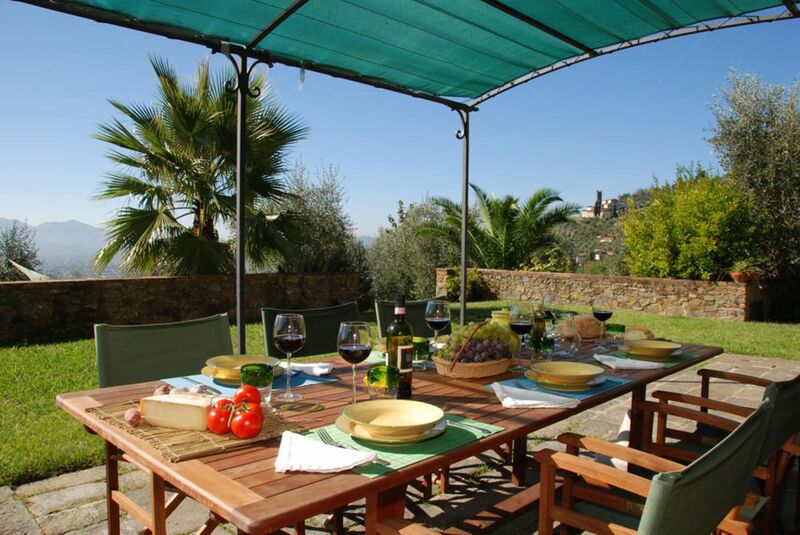 A particular feature of this property is the large, sunny terrace in front of the house, ideal for eating in beautiful surroundings. 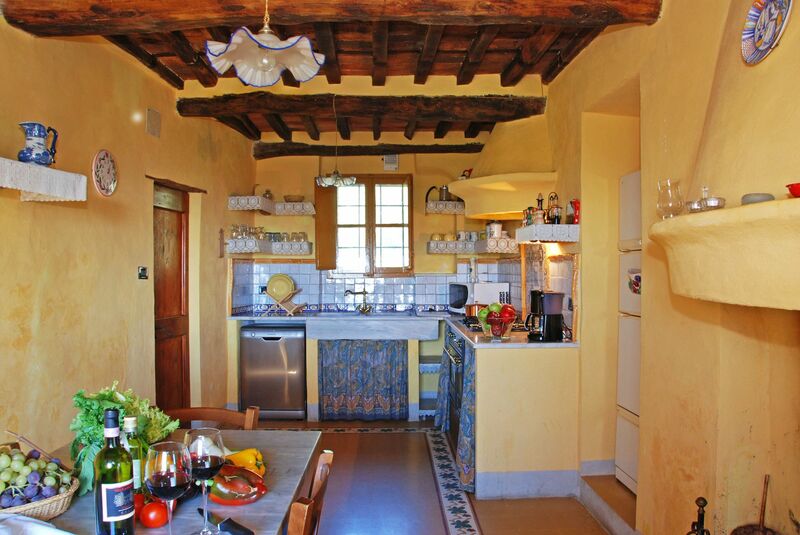 A wood oven has been recently added and this can be used with the help of the house manager. 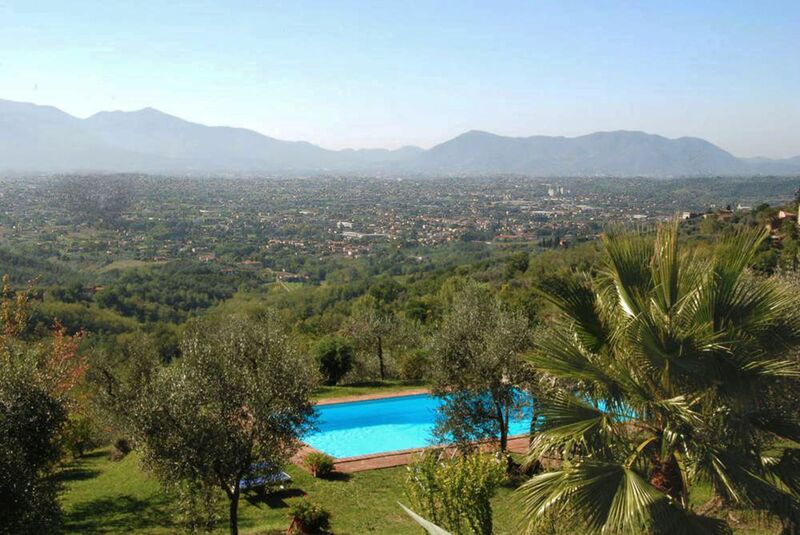 Both from the house and from the large swimming pool there are breathtaking views of the surrounding countryside of olive groves and vineyards, as far as the town of Lucca in the distance. 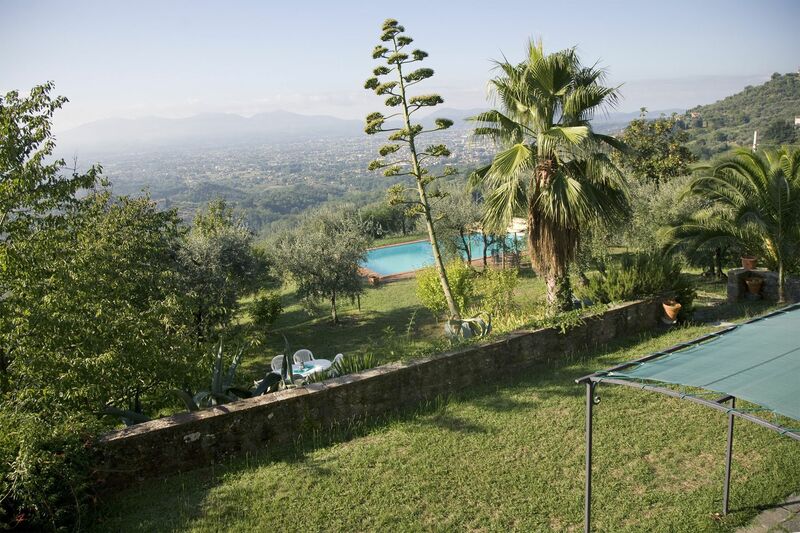 From the property it is also possible to see the beautiful historical villas, for which this part of the Lucchese countryside is renowned, and in particular the Villa Reale, where Elisa Bonaparte, Napoleon’s sister and Princess of Lucca, resided. 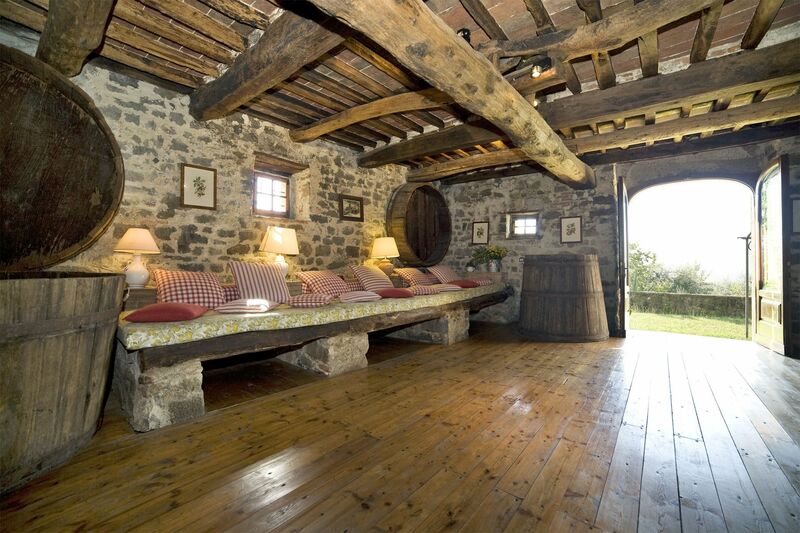 Dining room; kitchen with fireplace; big sitting room built in the old cellars. 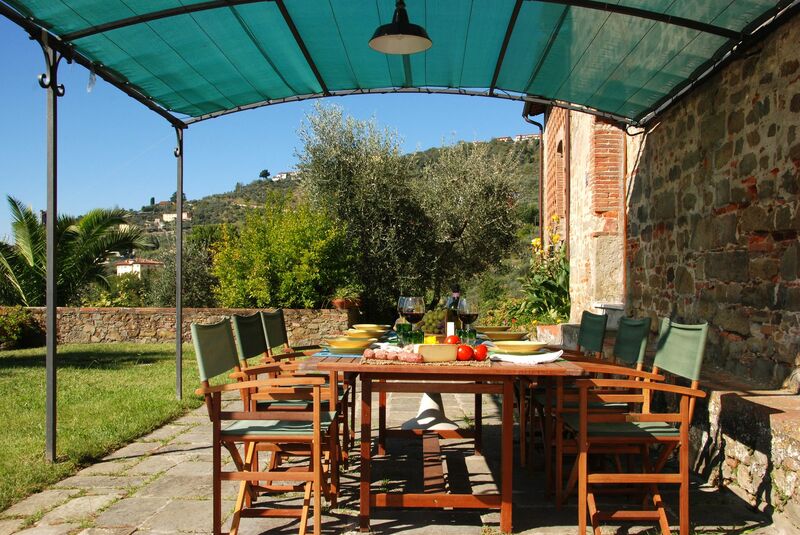 Covered veranda furnished for outside eating. 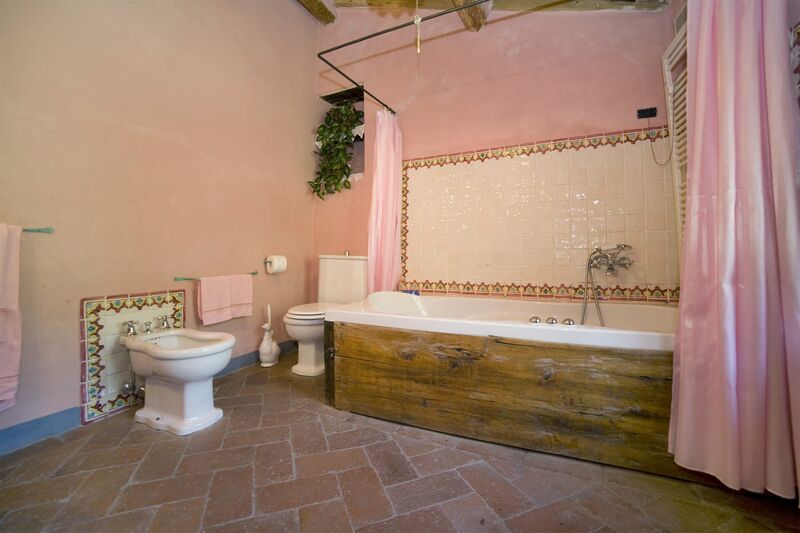 Sitting room; two double bedrooms; twin bedroom; bathroom with bathtub; bathroom with shower.